KnowCrazy.com: Describe local and global optimization ? These only consider information local to a function definition. This reduces the amount of analysis that needs to be performed (saving time and reducing storage requirements) but means that worst case assumptions have to be made when function calls occur or global variables are accessed (because little information about them is available). The most common form is the minimization of one real-valued function f in the parameter-space x e P. There may be several constraints on the solution vectors xmin. In real-life problems, functions of many variables have a large number of local minima and maxima. 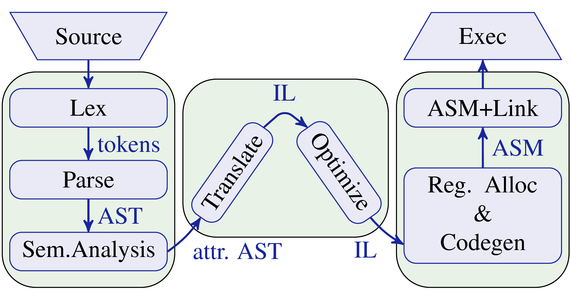 Finding an arbitrary local optimum is relatively straightforward by using local optimisation methods. Finding the global maximum or minimum of a function is much more challenging and has been practically impossible for many problems so far. The maximization of a real-valued function g(x) can be regarded as the minimization of the transformed function f(x):=(-1).g(x).